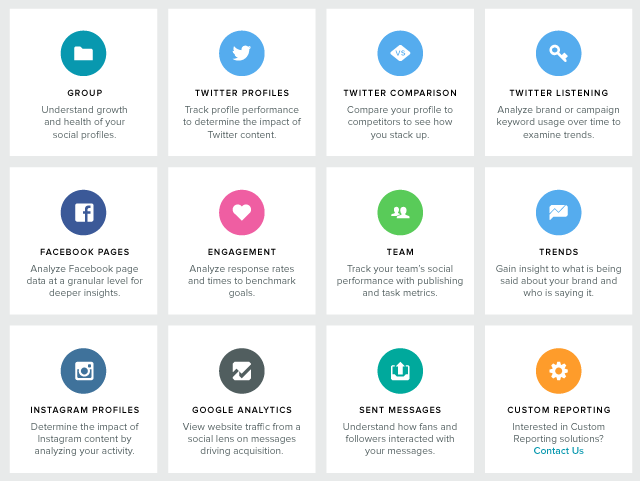 2015 was a big year for Sprout’s suite of reporting tools. 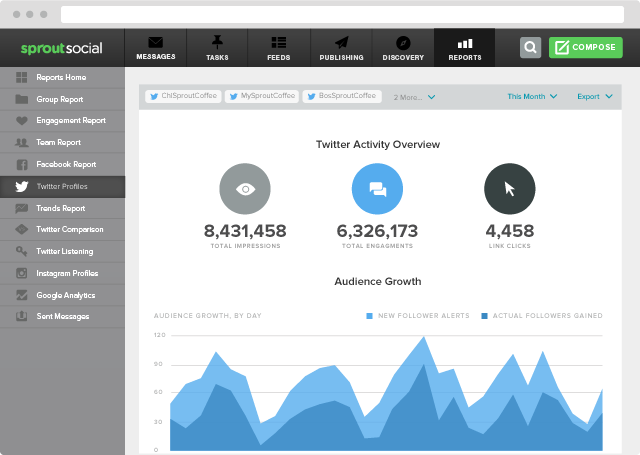 We added new reports, refreshed existing ones and gained access to new social data. As we continue enhancing our analytics to provide customers with the most comprehensive data, we’ve revamped our Reports section and introduced a new home page to provide an at a glance view of Sprout’s reporting options. The Reports Home page provides a quick and complete look at all available reports. If you’re new to social data or looking for additional ways to measure its impact, the benefits of each report are outlined with detailed titles and descriptions that make it easy to understand how each option can influence your social strategy. Here, you can customize your home page by selecting a default report to appear each time you visit Reports. You can also upgrade your plan to access more advanced analytics. 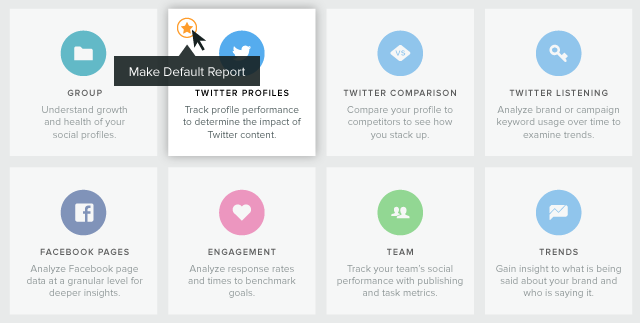 The Reports section helps novices and pros naturally progress from basic to more advanced social data. If you’re just getting started, the Group Report offers a high-level understanding of your profile growth. Network reports offer granular data across specific platforms like Twitter, Facebook and Instagram. Advanced analytics options such as Twitter Keyword, Trend, Engagement and Team Reports allow users to dig deeper and analyze the impact and patterns of their profiles. Collectively, each report works in tandem to tell a larger, brand story. 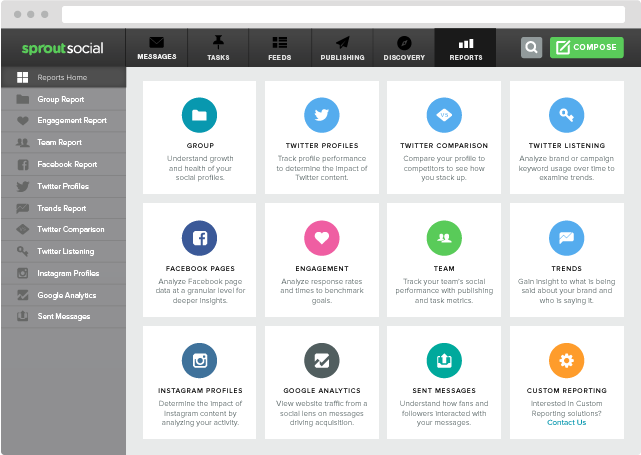 When it comes to comprehensive social media reporting tools, we’re not stopping with a new home page. As 2016 progresses, be on the lookout for Sprout’s new report offerings. As always, let us know if you have any questions or feedback in the comments below.